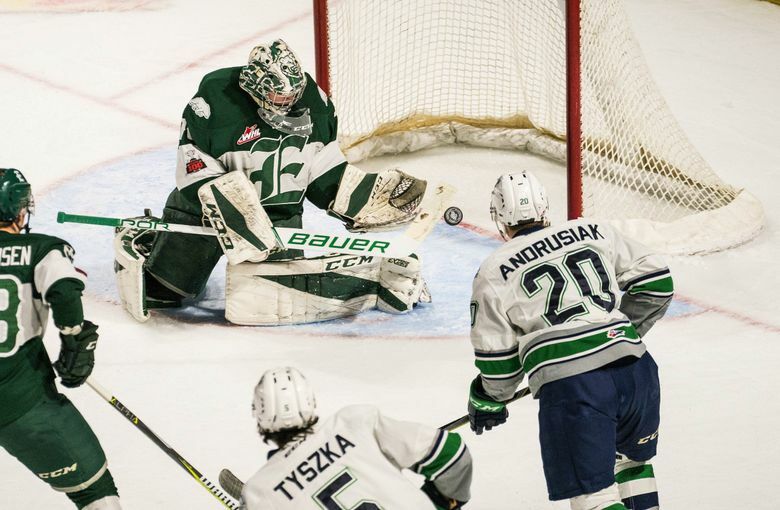 Can the Seattle area’s two WHL major junior teams coexist with the new NHL franchise? This region's two major junior WHL teams, the Kent-based Seattle Thunderbirds and the Everett Silvertips, have never faced direct pro hockey competition for fans and sponsors. 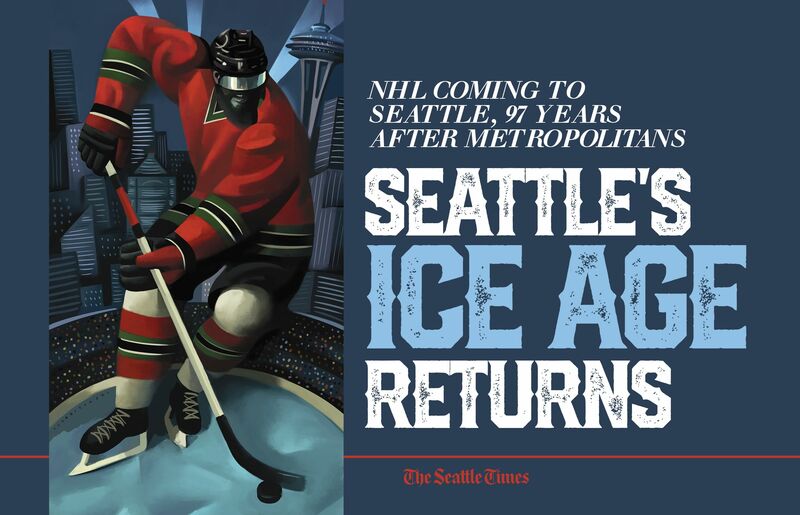 But they will once Seattle's new NHL franchise begins play in 2021. It has been three decades since longtime NHL forward Turner Stevenson was part of a golden era for a Seattle Thunderbirds junior team that routinely filled what is now KeyArena with more than 10,000 fans. Those Thunderbirds, led by scoring legend Glen Goodall, won a franchise record 52 games in the 1989-90 season before losing the Western Hockey League (WHL) division final to the eventual champion Kamloops Blazers. Stevenson scored 36 goals that season and went on to a decadelong NHL career with Montreal, Philadelphia and a New Jersey Devils squad he won the Stanley Cup with in 2003. Now living in Snohomish and coaching a 16-and-under elite-prospect team run by the WHL Everett Silvertips, British Columbia native Stevenson, 46, is curious about how the NHL’s arrival here will impact the local major-junior scene. Those teams have never faced direct professional hockey competition, the Seattle Totems minor-league squad having folded two years before the Thunderbirds franchise came into being as the “Breakers” in 1977. The major-junior WHL system — comprised of top prospects ages 16 to 20 — plays an NHL type of schedule under the Canadian Hockey League umbrella to ready players for the pro ranks. Unlike other junior and youth leagues, major-junior players are paid stipends that make them ineligible for the NCAA and the teams themselves — some of which are highly profitable — have a pro-like dependency on paying fans and corporate deals to sustain operations. But Stevenson added that the customer base for the NHL and junior teams “are two different clienteles’’ and that the high cost of attending an NHL game will preclude many fans from abandoning junior squads. Stevenson’s comments echo those of longtime Thunderbirds GM and current senior adviser Russ Farwell, who was GM of the Philadelphia Flyers in the 1990s. Farwell has often said it will cost more to park at a single NHL game at KeyArena than to buy a lower-end Thunderbirds season ticket and park for free at their ShoWare Center home in Kent. The same, he said, goes for corporate sponsorship and support. While Farwell said the Thunderbirds have lost the odd sponsor to the Mariners over the years, it doesn’t happen often. Farwell said his team, like the Silvertips, hopes the NHL squad can boost local hockey awareness and earn them more fans. Locally, the major-junior game has changed from Stevenson’s playing days, when the Thunderbirds were the lone Seattle team and one of only two in Washington, with the Spokane Chiefs. Nowadays, there are four Washington teams — the Thunderbirds, Silvertips, Chiefs and Tri-City Americans — with two in the Seattle region, and the overall level of play has never been this good. The Silvertips went to the WHL final last season and are again atop the league’s U.S. Division, while the Thunderbirds won the league championship two seasons ago and were finalists the year before that. Everett last season averaged 5,129 fans per game at Angel of the Winds Arena — its highest total in six years. Things were similar for the T-Birds last season, when, coming off their WHL title, they averaged 4,950 fans per game — a 10 percent jump from the 2014-15 season before the team began a string of playoff runs. Both teams have declined in average attendance this season, though their numbers to this point remain roughly even with what they’d drawn over the same period a year ago. Local junior-hockey attendance tends to spike come February once the Seahawks season ends and hockey playoffs draw closer. Still, that raises the question of whether similar late spikes will continue once the junior squads face ongoing pro competition beyond the NFL season from the new NHL team. Canadian major-junior teams have had mixed results playing in NHL cities. Overall, they’ve fared better in Western cities like Vancouver, Edmonton and Calgary than in Montreal or Toronto. There aren’t many comparables in the United States, where Detroit is the only city to have had both NHL and major-junior squads simultaneously. A Detroit-based franchise existed in the major-junior Ontario Hockey League from 1990-97 using the name Compuware Ambassadors, Junior Red Wings and Whalers at various times and sharing Joe Louis Arena with the NHL team. But the franchise’s owner, Peter Karmanos, had a falling out with the NHL squad and eventually moved his team in 1997 to a new 3,800-seat arena in suburban Plymouth, 28 miles from downtown Detroit. Despite some strong showings during an ensuing 18-year run there, producing players like Dallas Stars alternate captain Tyler Seguin and Stanley Cup champion Tom Wilson of the Washington Capitals, the Plymouth Whalers never took hold. After 25 seasons in the Detroit metro area, the franchise was sold in 2015 and moved to Flint, Mich.
Everett is an identical 28 miles from Seattle as Plymouth is from Detroit, while Kent is 21 miles away. The difference here is, the new NHL team won’t be as ingrained as the nine-decades-old Red Wings in their city, while the junior squads are already established in their communities. Local junior-hockey proponents hope the Everett-and-Kent-based squads are far enough from Seattle’s core to maintain their local identities apart from the NHL team. For retired T-birds star and NHL pro Stevenson, the incoming expansion franchise presents an opportunity.